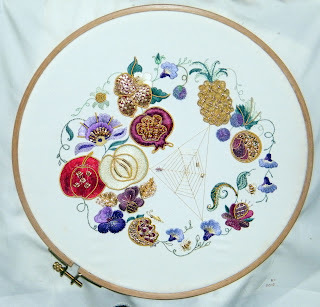 Rambling around my Life: Finishing a goldwork "UFO"
I am completely in awe of those people who are able to blog regularly, whether it be daily or weekly, their prose just flows. I always find it interesting. Sometimes it concerns a craft project, or a meal they've cooked or little items of news about their family. A small window into a life which in some ways so similar to mine and in other ways so different. There was a rumble of thunder a moment ago but the rain we're having is nothing to what is happening in Queensland. We're getting almost non-stop reporting of the disaster on radio and TV. Just terrible. You can't help being horrifed at what is happening to people. But today the flood is moving into Brisbane and it was a newpaper article which really sent the shivers down my spine. This writer is a master of his craft. I have been using this post-Christmas period to try and tackle some of the UFOs in my cupboard and have managed to finish one. It's not perfect, and I ended up making a couple of changes as I was making a mess of things. The pattern was "Extravaganza" by Betsy Bee Designs for Rajmahal. The background is white satin. I started it about three years ago but kept getting frustrated and leaving it to do something else. 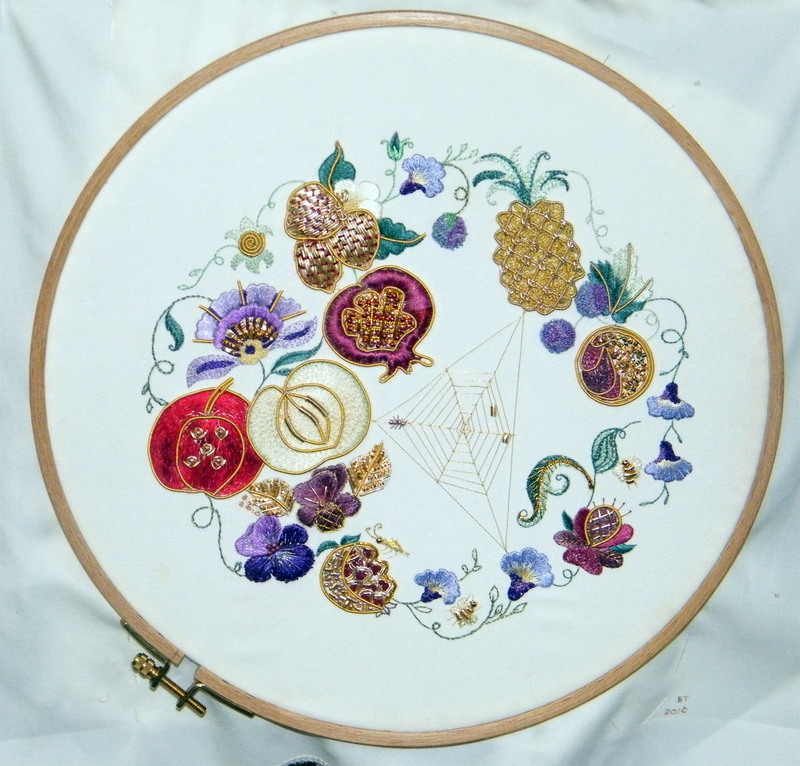 I've decided I don't really enjoy doing goldwork. There a still a couple more smaller ones in the cupboard to finish but I won't start any new ones ! All that's left to do now is get it framed.